How do you go about a brand stretch project without the reassurance that qualitative research can give you? We all know that to launch a new product successfully, you need packaging design that really captures the essence of a unique consumer insight. But unless you’re a cash-rich mega brand, sometimes there just isn’t the time, budget or available resource to commission in-depth qualitative consumer research for your new NPD. How on earth are you going to successfully stretch your beloved brand into the new category it so urgently needs to enter? Yes consumer understanding is key but there is a lean way to get the insight you need to move your brand on. Here is the tried and tested process we use when working with big brands who are launching new products. If you’re leading a startup, or in the early stages of bootstrapping your brand, you can adapt it to take your business and its products to the next level. You know that moment when you’re walking down a supermarket aisle and you spot a new product that is just a no brainer for the brand in question to have launched? You pause and think wistfully of the research budget you wish you had that would give you access to your consumers’ hearts and minds? The research that would uncover that nugget of deep insight that gives your design agency the tool to create really emotionally engaging and resonant packaging design to enable your new baby to fly off the shelves? You then come back down to earth and realise that however much you want to, actually no, you don’t have the time, budget or resource to commission qualitative consumer research (in whatever shape or form). When mega companies like P&G, Mars or Unilever launch a new product you can bet that they’ve invested in several rounds of qualitative research, over several months or even years, with significant spend on research consultancy. 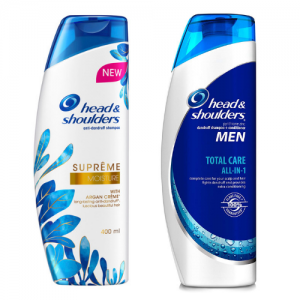 For example: P&G’s new Head & Shoulders Supreme product leverages 2 simple insights: firstly, women with dandruff don’t want to use a shampoo on their hair that looks as though it’s for men and secondly, women are concerned that a dandruff shampoo will dry out their hair. So they’ve launched their new shampoo for women in a pack design that’s clearly from the Head & Shoulders stable (pack format, colours and brand architecture), and therefore reassures on efficacy, but the look and feel of the pack is feminine, flowing, softer and a teensy bit glitzy, particularly in contrast to the newly designed to be more masculine men’s pack. There is a way to sidestep a lengthy and costly qualitative research process. There’s a lot you can do yourself to generate the insight you need for a confident launch. If you’re stretching your brand into a new category there are three key pieces of information you need. What are the brand’s visual equities? The visual signposts by which consumers recognised your brand? What are the visual rules for the new category? What do you have to feature on front of pack for the consumer to believe your product/brand belongs in this category? You can bootstrap this insight to give you the answers you need to succeed at each step. Here’s Reach’s lean approach to NPD insight. Your value proposition is a blend of the emotional benefit (from your brand proposition) and the functional benefit (from the new product you are launching). This is where consumer insight comes in. Think about their relationship with your brand. What is it they believe you do best? What relationship do they have with other brands that exist in the new category? Consider how your new product fits into their lives. What are the different ways in which it can benefit them, what problems will it solve? What are the reasons why your brand has the credentials to be launching this product in a category it hasn’t been seen in before? Why will they believe that your brand has the credentials to launch this new product? How will they use the new product? What will it do that is new? What problem will it solve? This thinking will enable you to generate some value propositions that need to be whittled down to one. This will form the heart of your brief to your design consultancy. Imagine what happens if you remove any of these elements. Will your brand still look like your brand? You may be surprised to realise that many of the things you consider as your brand’s unique visual equities are actually generic category rules. These can be left behind when you enter the new category to make space for the new set of visual rules you need to follow. When it comes to identifying the visual rules of the new category there’s also a lot you can do for yourself. Conduct an audit of the packaging (graphics and pack format) of key players in the category and also the outliers, the challengers. Pack format? This is usually a key indicator in a category and the first way finder for the consumer as she scans the shelves. Colour? How is it used to denote the category and/or for variety communication? Product presentation? Illustration, photograph, pictogram, text only? Claims? There will be claims that everyone uses in the category. What are the table stakes? Decide if you want to be in the mainstream (where all the big established brands will be) or a challenger to these (a brand that plays by its own rules and doesn’t mind breaking the established visual signposts for the category) or of course, somewhere in between. Once you are clear on this strategy, you can now decide which category rules to follow to put in the creative brief. Generating the insight required for each of these 3 areas is fundamental to the creative brief. This thinking will form the backbone of the brief and the benchmark by which you judge the arising pack design concepts. Consumer insight is essential if you’re going to successfully stretch your brand into a new category. In an ideal world of course you’d invest in qualitative research, but if time and budget are an issue for you, there’s much you can do yourselves to generate the insight you need. Draw on your common sense, your knowledge of the marketplace, your belief in your brand, your closeness to your consumer and never forget a healthy dose of intuition. If you want help you can choose to generate these insights alongside your brand design consultancy. 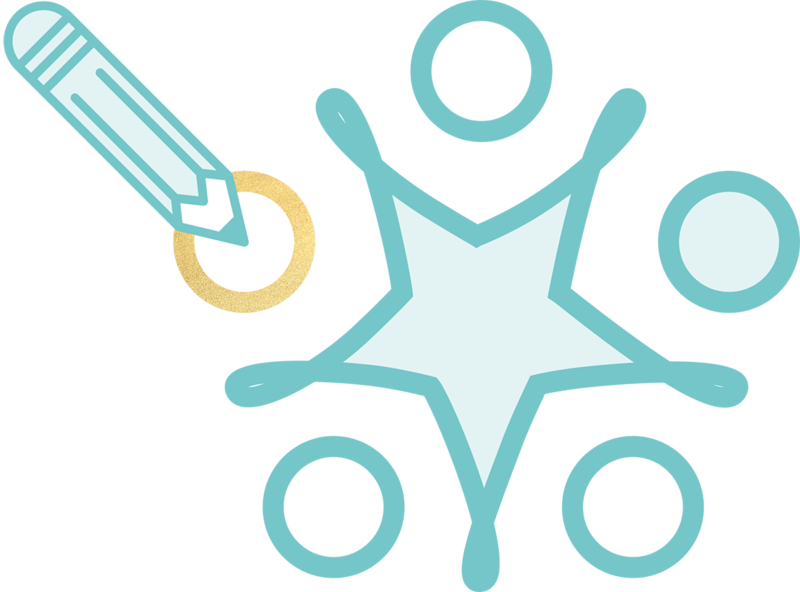 This is the collaborative approach we firmly believe in here at Reach: we call it client democracy.